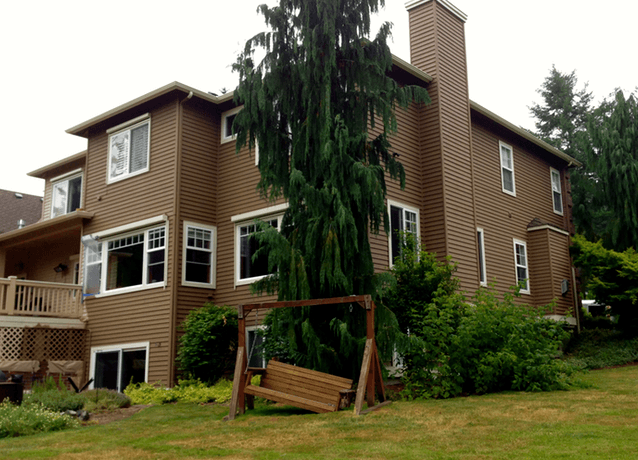 We are having a blast working on this beautiful home in Woodinville, WA. 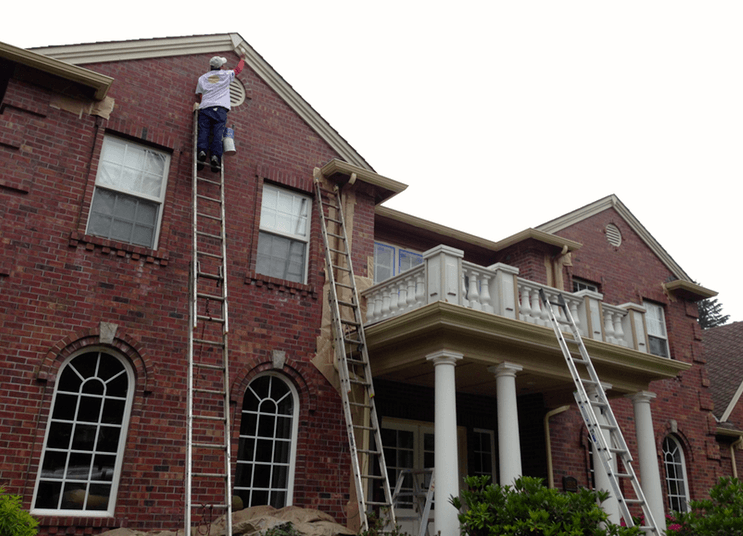 We are able to produce flawless jobs on large homes by splitting each project into 4-5 smaller portions. Each portion is prepped, painted both coats, touched up, and cleaned up before we move on to the rest. As always, we tackled the most time consuming parts of the house on our first day. 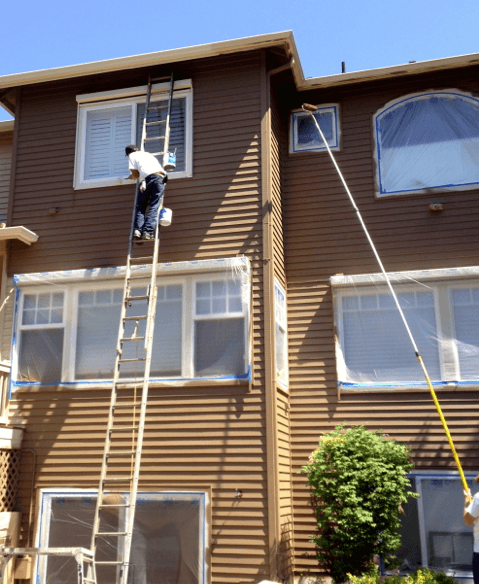 Our preparation includes caulking any cracks, gaps, nail holes, etc. 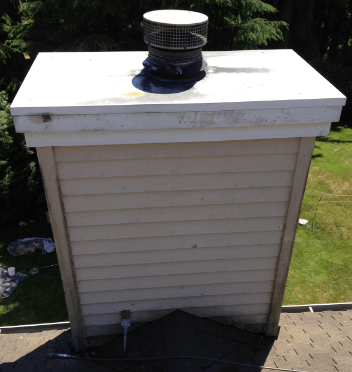 we also removed a fair amount of moss from the top of the chimney. Luckily the moss has not caused any damage to the substrate. 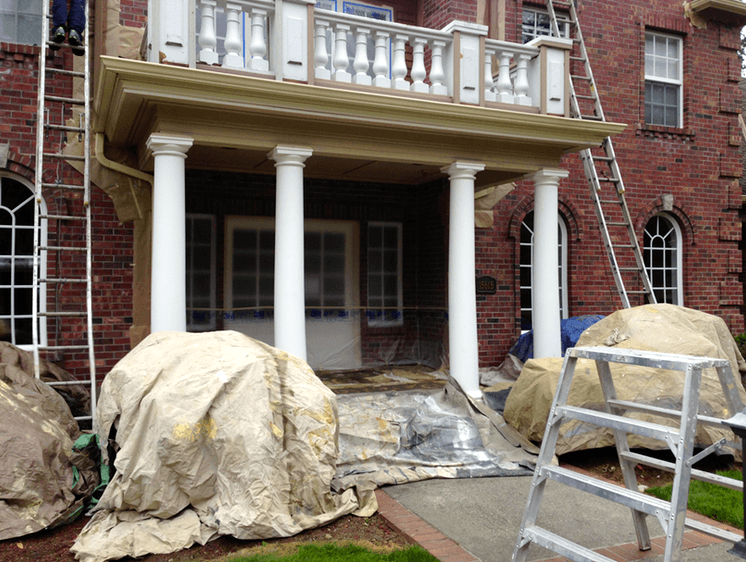 We had excellent painting weather on our first day, which allowed us to apply the second coat on the body and the trim on the same day. 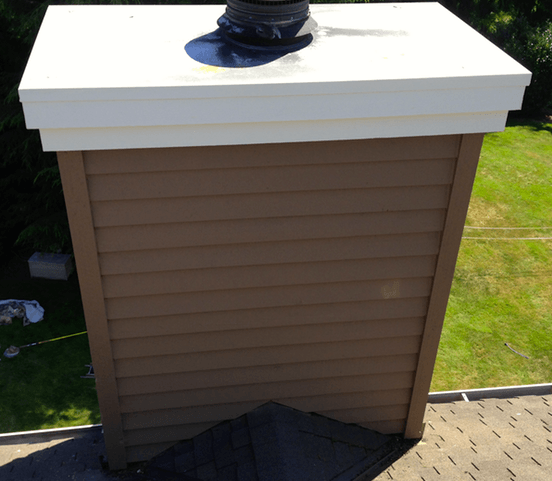 Chimneys do not have eaves above them to protect them from the elements, and usually receive a fair amount of abuse from moisture and UV exposure. 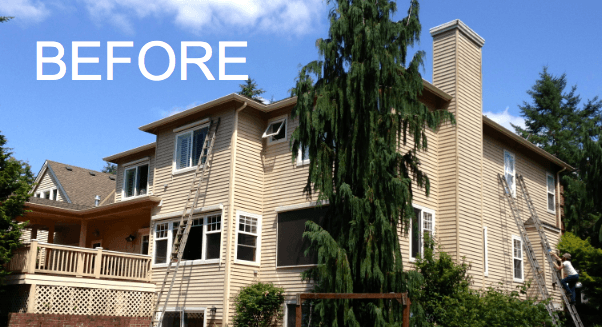 We often do more scraping and apply extra thick coats of material to help the chimney age at the same rate as the rest of the siding. We love our masking guys. 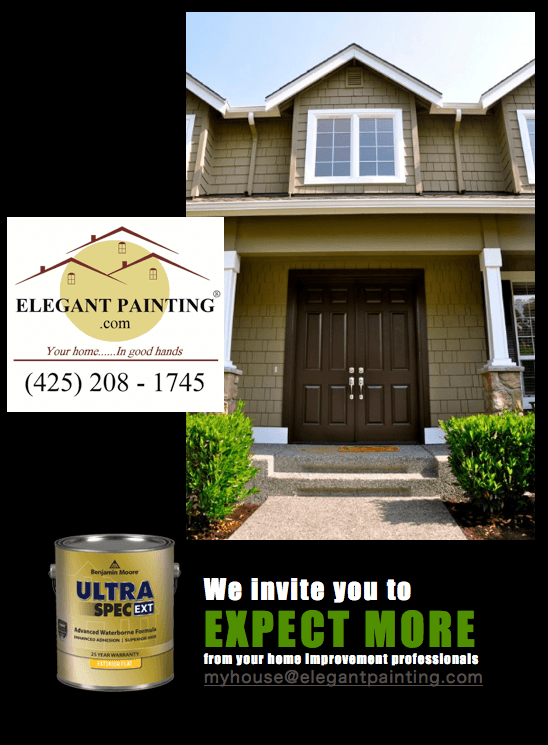 they are the reason we can guarantee, in writing, that there will not be any paint slopped on windows, decks, driveways, etc. 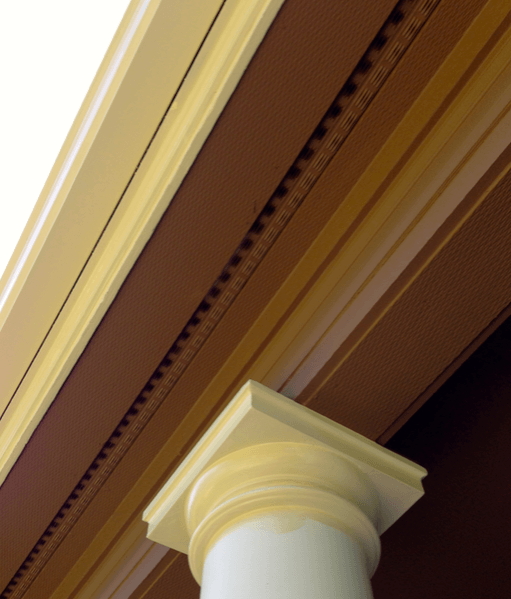 While we brush the tops of the pillars to produce perfect lines, the body of the Pillars will be sprayed using a Fine Finish spray tip. 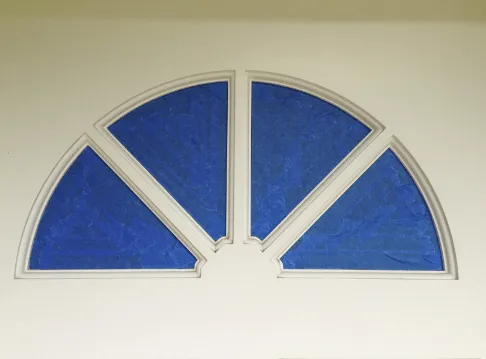 We use fine finish tips on interior trim, and exterior doors. Using the rights equipment we are able to produce “factory finished” surfaces. All time consuming and challenging portions of the project were completed by 10AM day 2. 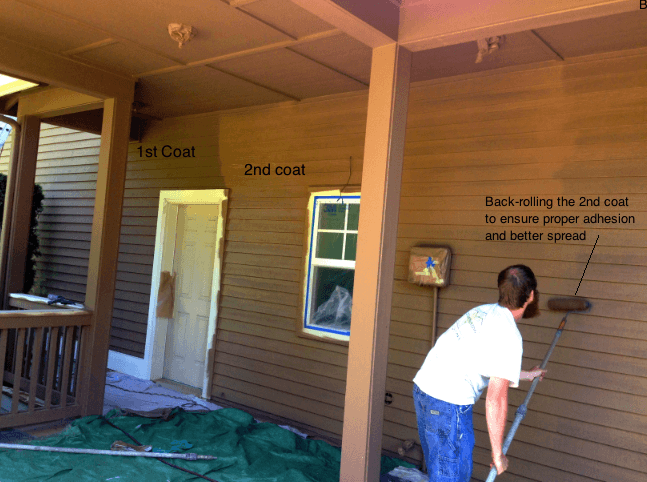 Our crew will always apply a second coat and back roll to ensure a perfectly even and durable finish. 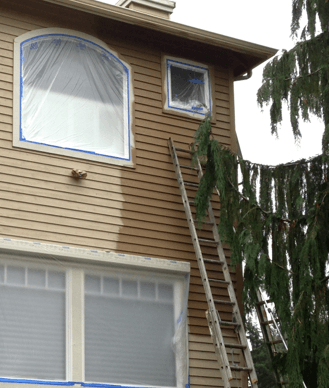 Posted in Painting Progress Report, Procedures and tagged woodinville house painters.